Last week the Pentagon published its annual white paper on China’s rapid transformation of its armed forces. Titled Military and Security Developments Involving the People’s Republic of China, the almost 100 page report touched on a lot of familiar topics, i.e. Taiwan and China’s many border disputes. Those interested in reading the whole document can download it here. The weird part is there’s been a flurry of alarming news report that only highlights the deployment of nuclear missiles along China’s border with India. The missiles are the DF-21, also known as the CSS-5 MRBM. 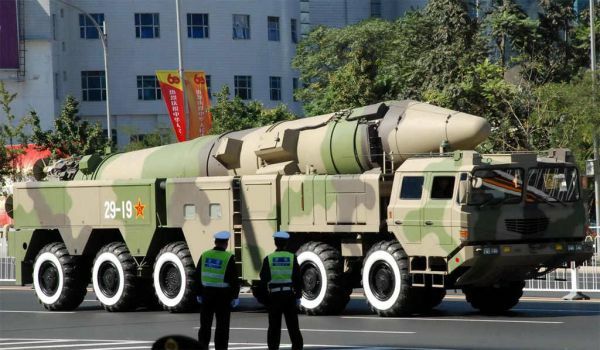 Prior to this surge of reportage, China already had missiles stationed along its frontier. Those who read the report in its entirety, or even just scanned it, will realize that it remains true to the US’ prevailing China doctrine—there’s a strong focus on Taiwan with occasional mention of other potential conflicts. The last time China and India came to blows over their shared mountainous border was in 1962, which proved a humiliating defeat for the latter. Since then, the inhospitable terrain has not prevented either country to maintain military garrisons in the area. The un-proportional tone of the DF-21 news might be misleading, but at least it sheds a little light on the heated rivalry between the two Asian giants.